One of the main tasks Dana and I have been working on thus far for the Greenfield digital editing project– part of a larger effort funded by the Albert M. Greenfield Foundation- is to try to piece together the history of Bankers Trust Company, the banking institution on which our project is focused. This can at times be rather difficult due to gaps in the historical record. 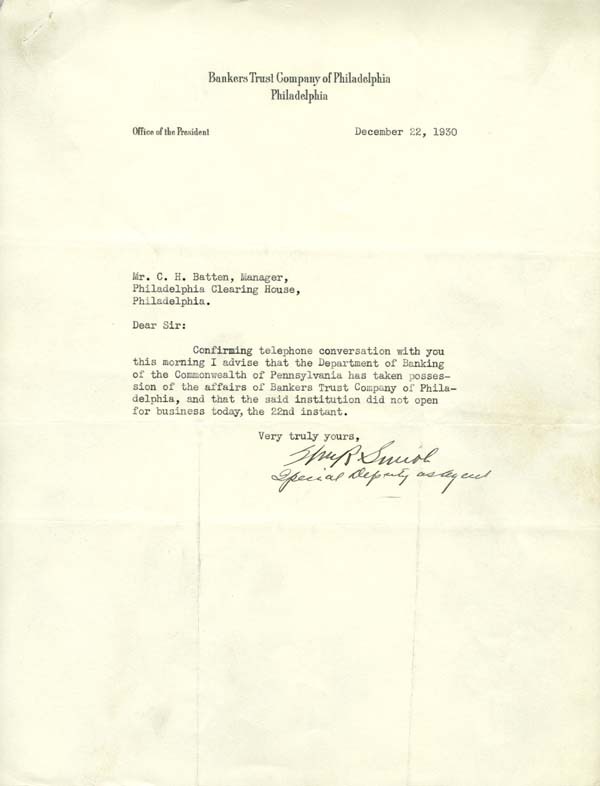 We have looked through several hundred documents from the Albert M. Greenfield Papers (collection 1959), as well as materials from a couple related collections located here at HSP, such as the Philadelphia Clearinghouse Association (collection 1908)- an association that among other things, helped member banks during banking panics- but pieces of the puzzle are still missing. One part of the story that I am grappling with is why the effort to reorganize the bank, rather than liquidate it, ultimately failed. For many affiliated with the bank, its closure on December 22, 1930 did not spell certain doom. Rather, it was most likely viewed as only a temporary suspension enacted to allow the bank to recover from the run it had been experiencing over the last couple months. The plan was to reorganize Bankers Trust and have it reopen as soon as possible. Almost immediately after the bank’s closure, efforts for its reorganization were underway, and the possibility of its reopening looked promising. The bank was able to quickly pay off many of its loans. Also, by the end of 1930, Bankers Trust had formed a Depositors’ Committee that drafted a plan for the bank’s reopening by the spring of 1931. 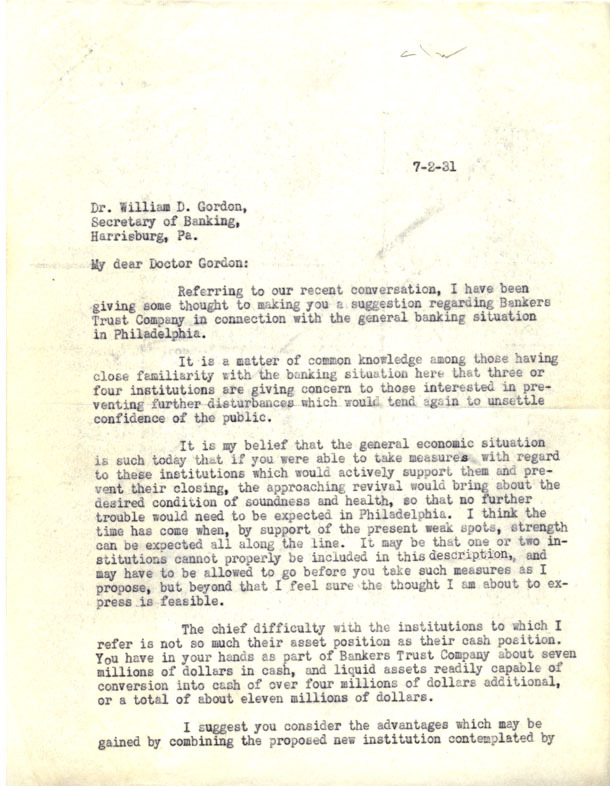 Moreover, in March 1931, William D. Gordon replaced Peter Cameron as Secretary of Banking. Gordon seemed to have been on the same page as Greenfield with regards to the rehabilitation plans for Bankers Trust. 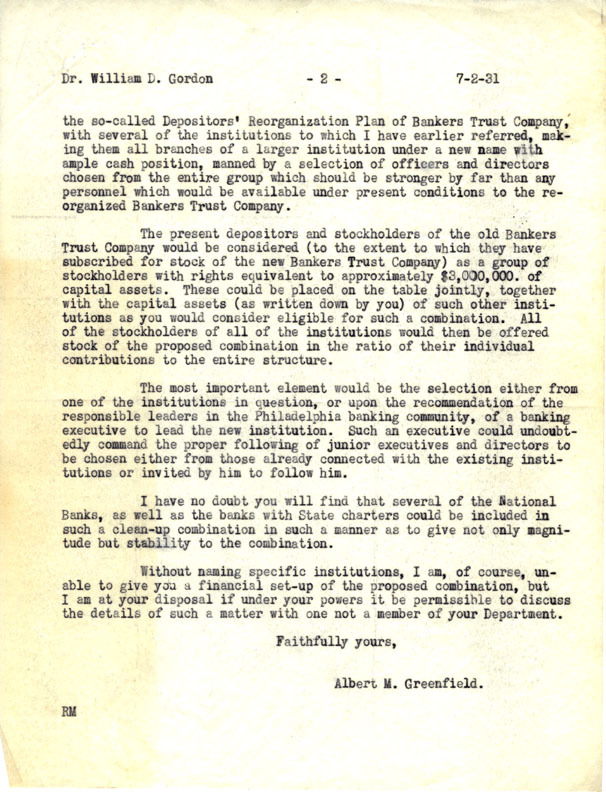 Greenfield and Bankers Trust President, Samuel H. Barker, were involved in reorganization planning as well. As the bank’s principal depositor, Greenfield had plenty of motivation to see Bankers Trust reopen. 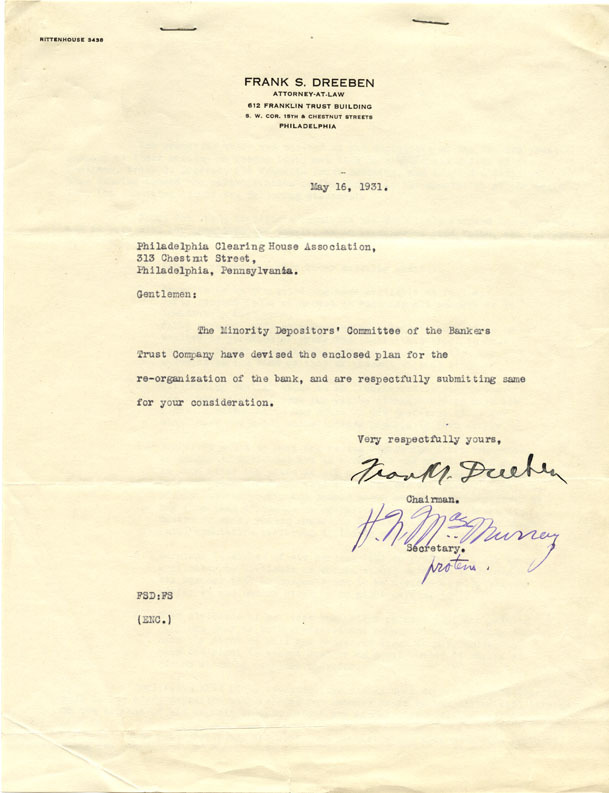 He himself sent Secretary Gordon an in-depth proposal for reorganization. Understandably, the reorganization plans and goals of the bank’s rehabilitation envisioned by its directors, stockholders, and depositors differed. A split amongst the bank’s depositors emerged. Some depositors felt that the Depositors’ Committee was too closely aligned with Bankers Trust stockholders and directors, which they argued was reflected in the reorganization plan. They wanted to preclude any persons from the “old regime,” most notably Greenfield, from having any involvement with the bank’s reorganization. 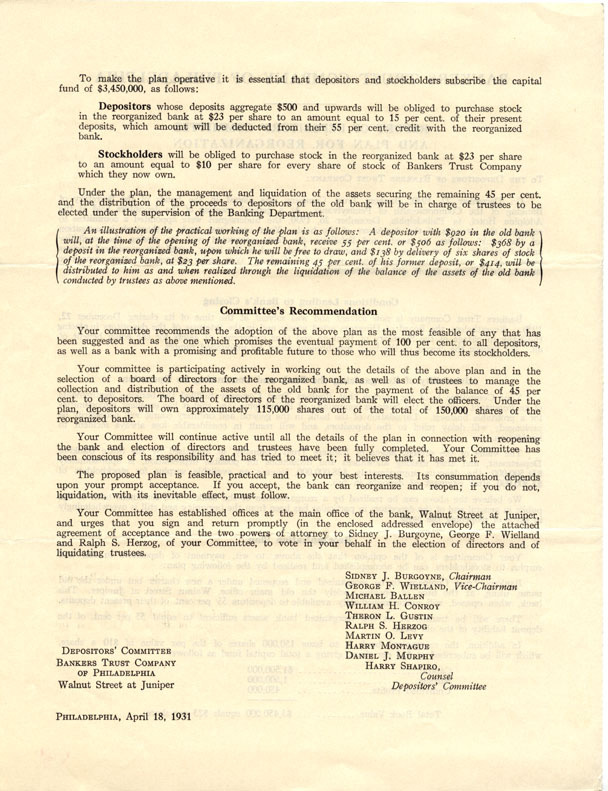 In May 1931 these depositors, under the leadership of Frank S. Dreeben, formed the Minority Depositors’ Committee, or Depositors’ Protective Committee and drafted an alternate reorganization plan. 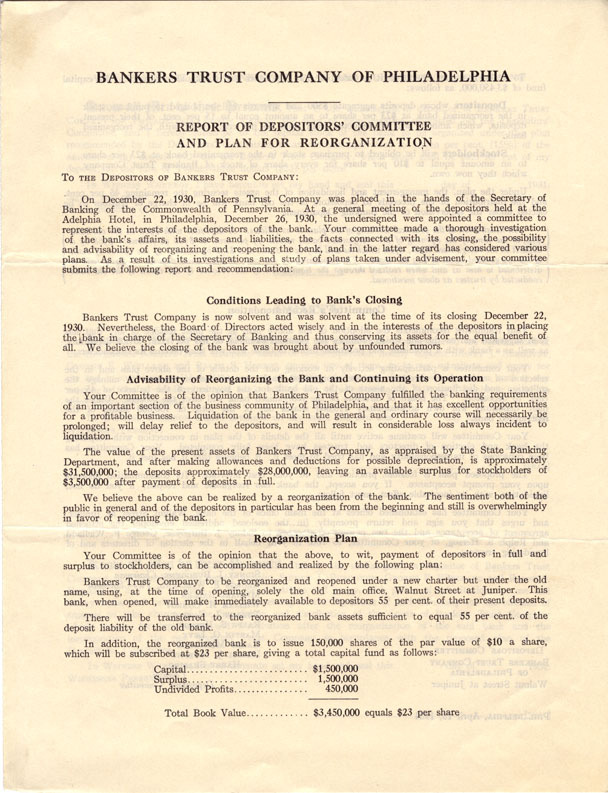 By June 1931, the Depositors’ Committee had obtained the signatures of 60% of depositors who supported the reorganization plan it had drafted; however, the state required 80% of depositors to endorse the plan in order for it to go through. After months of going back and forth, on September 24, Secretary Gordon announced his rejection of a reorganization plan for Bankers Trust and his decision to instead proceed with the bank’s liquidation. Gordon denied depositors’ petition to bar stockholders, officers, and directors who may have been depositors from receiving payment from liquidation proceeds. He also denied depositors representation on the liquidation board. The first payment to depositors was issued in early November, almost one year since the bank’s closing. On average, liquidations during the Great Depression lasted about six years. Bankers Trust Company’s liquidation process lasted sixteen. 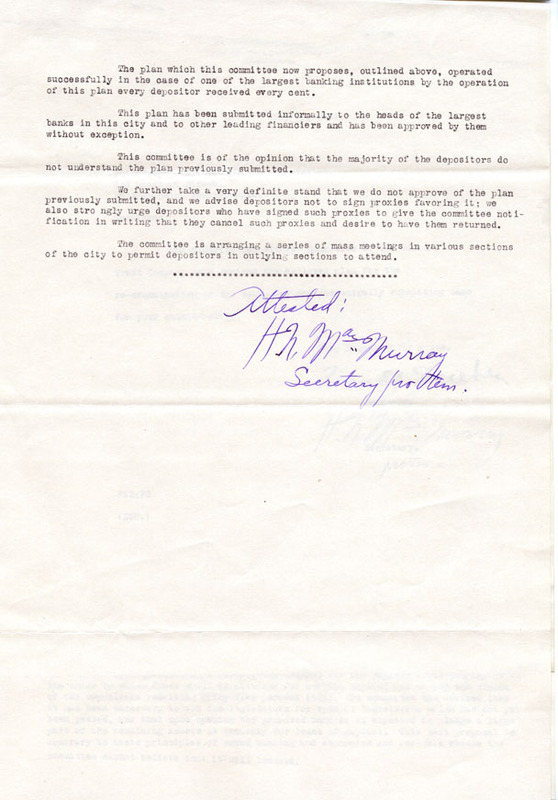 The sixth and final payment was not made to depositors until May 1946. Is it ever good news if a business associate sends you a telegram at 4 a.m.? 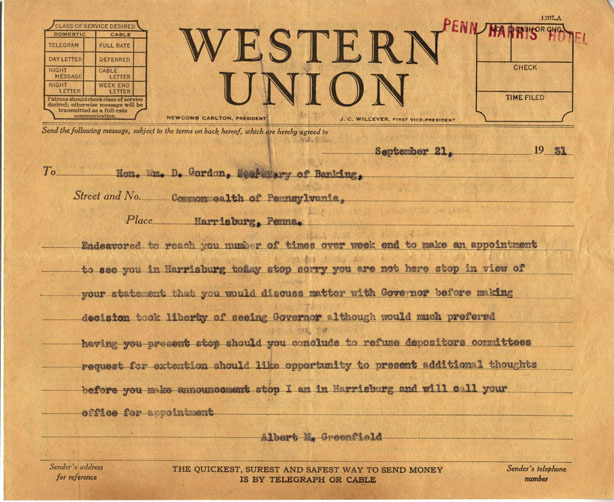 An urgent telegram to Albert Greenfield from Irland Beckman, who later became Pennsylvania's Secretary of Banking. 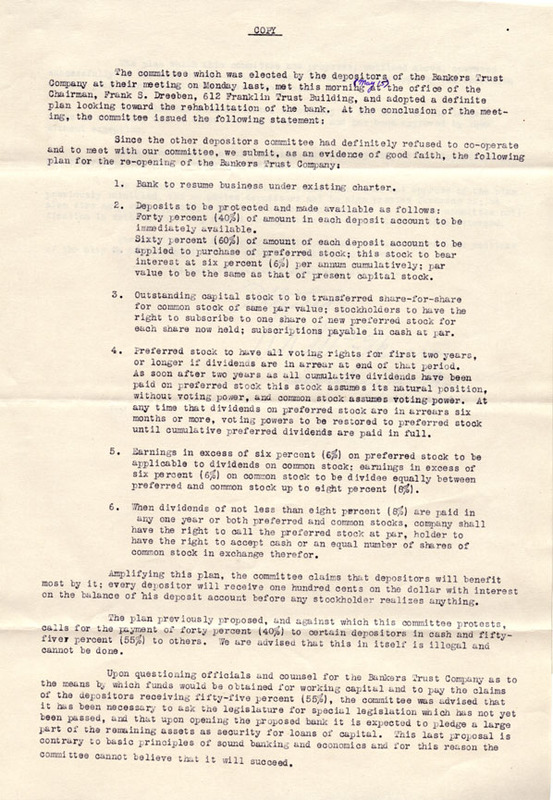 This one, part of the Albert M. Greenfield papers (collection 1959), announced an emergency meeting of the board of directors for Bankers Trust Company, which within hours became the first large Philadelphia bank to fail during the Great Depression. Next week marks the 80th anniversary of the closure of Bankers Trust. Now largely forgotten, its failure to open on December 22, 1930 affected at least 100,000 depositors and made headlines for years to follow. My colleague Faith Charlton and I are investigating the Bankers Trust story as we continue developing our new Greenfield digital history project, part of a larger effort funded by the Albert M. Greenfield Foundation. At the moment, we are working on untangling what happened in the bank’s final days. Albert M. Greenfield (1887-1967) had been instrumental in the creation of the bank and served on its board of directors. Bankers Trust grew by leaps and bounds in its four-year history, acquiring nine other banks and growing to include 11 branches and $50 million in deposits (the equivalent of about $628 million today). 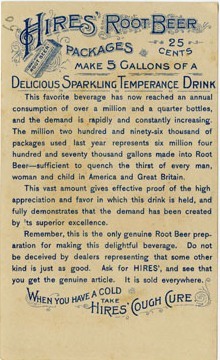 However, within months of its July 1930 acquisition of the struggling Bank of Philadelphia and Trust Company, Bankers Trust was experiencing a run on its deposits. Greenfield and other Bankers Trust officials believed it was healthy enough to survive the short-term distress, and two large Philadelphia banks loaned about $7 million to cover withdrawals. In mid-December, with Bankers Trust still in distress, a group of local bank presidents reassured the state Department of Banking that Philadelphia banks would support Bankers Trust. According to several accounts, the local bank presidents changed their minds at a private meeting in the days before December 22 and decided to let Bankers Trust fail. 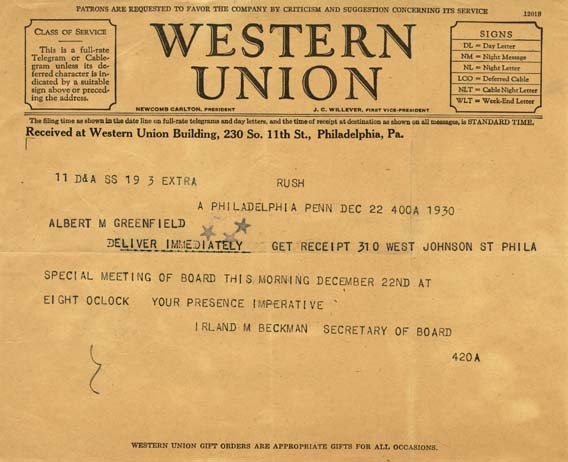 For many Philadelphians, the Bankers Trust failure brought the Great Depression painfully close to home, perhaps for the first time. Over the next few years, the Pennsylvania Department of Banking oversaw a lengthy legal process that returned to Bankers Trust customers about 59 cents on every dollar on deposit. 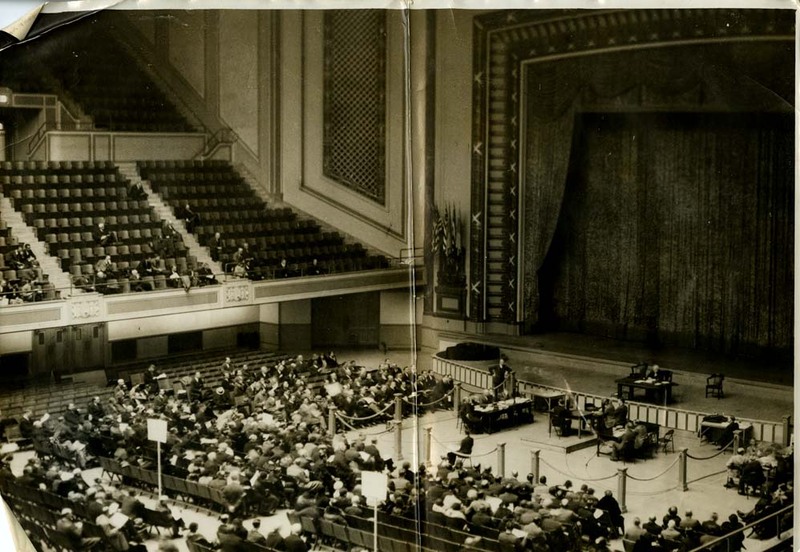 An April 11, 1932 audit hearing on the affairs of Bankers Trust Co., held at Convention Hall to accommodate the expected crowds (Philadelphia Record Photo Morgue collection, collection V7). But that repayment was likely of little consolation to the thousands of small depositors whose savings were largely out of reach during the multi-year process and were never completely replaced. In response to this and thousands of other bank crises around the country, in 1933 the federal government enacted sweeping banking reforms that included the creation of the FDIC. 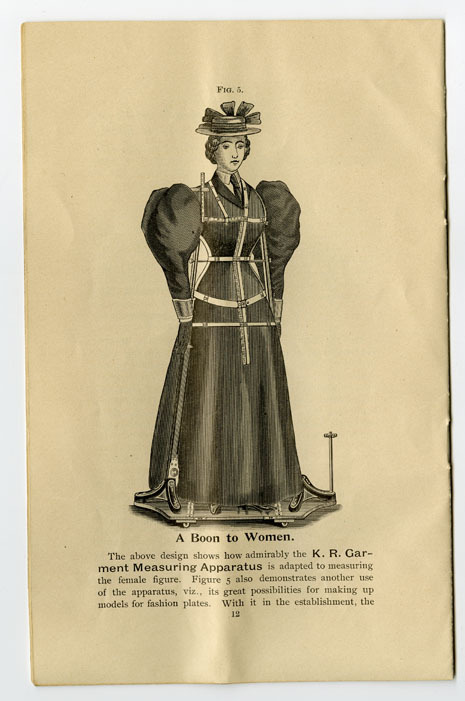 November 19, 2010 by Cary H.
It is perfectly accurate in measurement, and the measurement for a whole suit, either for man or woman, can be taken readily in five minutes. No mistakes are possible in measuring. No puzzling and no guess-work. I could go on, but these pictures speak for themselves. Maybe, I guess. I could certainly see how this *might* make things a little easier for the tailor in the end. 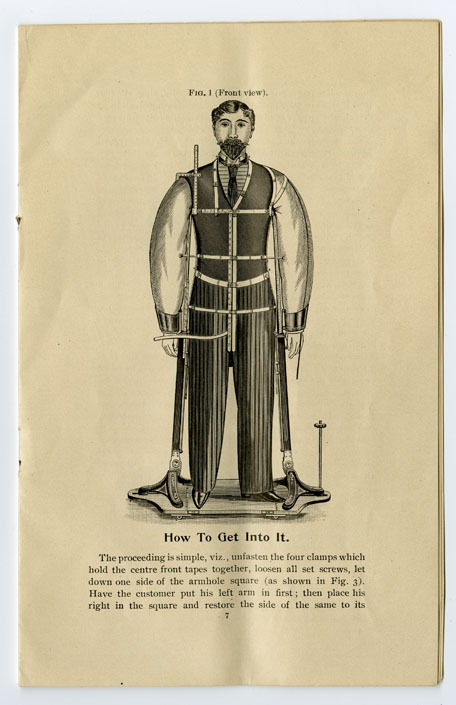 But for some reason, I imagine that in the time it took to actually get someone in the thing and fitted properly, the tailor could have taken decent measurements the old-fashioned way with an “inaccurate” $1 measuring tape. 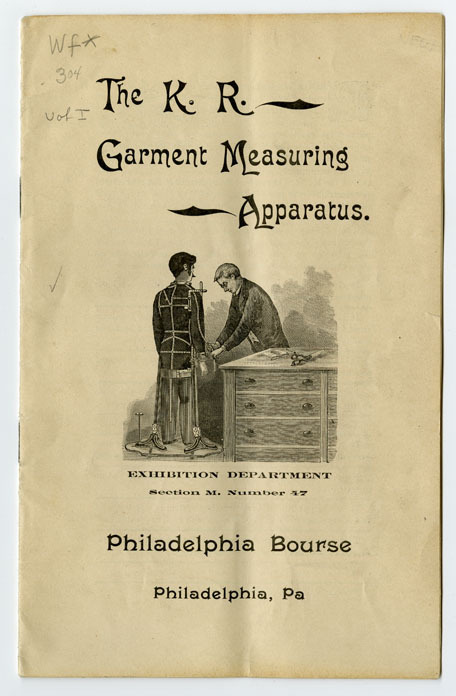 In 1895, folks could have gone to the Bourse to view this and other innovations in their exhibition department. Today, the Bourse still stands a short distance away from Independence Hall on 5th Street as an office and retail complex. October 21, 2010 by Cary H.
As you’ve probably guessed from my blog posts, planning for and processing collections from HSP’s adopt-a-collection program take up a good bit of my time here. I just finished processing a lovely small collection of records from the Philadelphia County and Lancaster County militias [Am .23] (and yes, they were in fact lovely and oh so legible!) and will soon start work on a collection of genealogical records pertaining to the Buckman family of Philadelphia. In the meantime, several staff members and I have been looking at potential adopt-a-collections for HSP’s upcoming Young Friends scavenger hunt, an event which will hopefully result in the groups’ adoption of one collection. 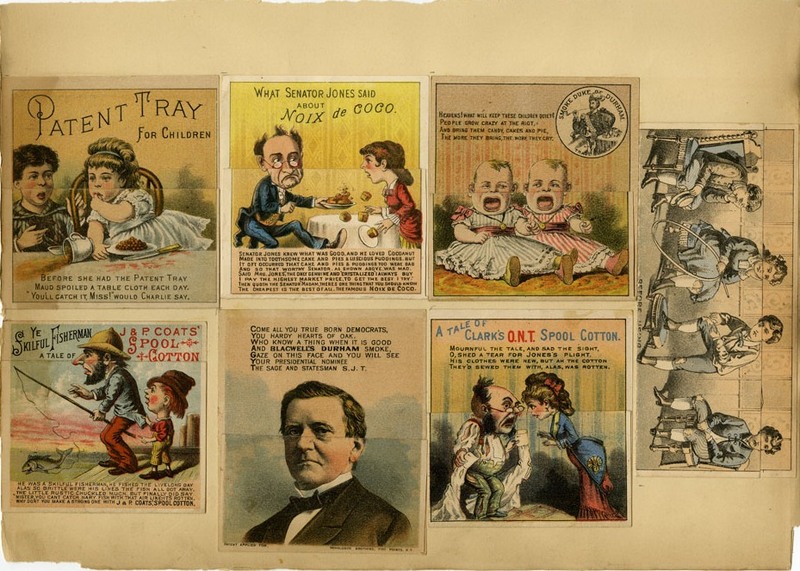 We’ve narrowed down our choices for the event according to need, cost, and overall amount of work, but I thought I’d highlight one collection that just missed the cut: HSP’s trade card collection. 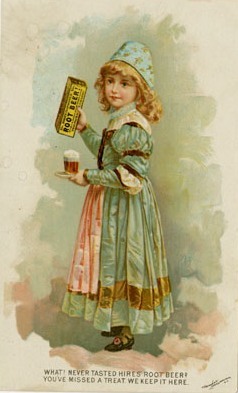 Trade cards were used to advertise one’s business and folks handed them out or traded them as we do with business cards today. 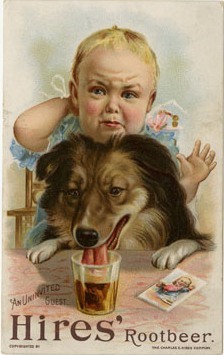 Trade cards date back to the 17th century, but our trade card collection dates mostly from the late 1800s to the early 1900s. 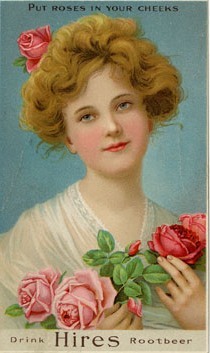 It consists of cards from numerous local and regional businesses, everyone from hat makers and soda producers to dry goods stores and blacksmiths. 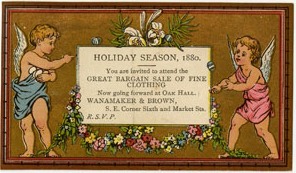 Some are done in simple black and white designs and text, while others contain ornate designs and fonts and colorful figures. And they range in size from a couple inches to over a foot of advertising space. 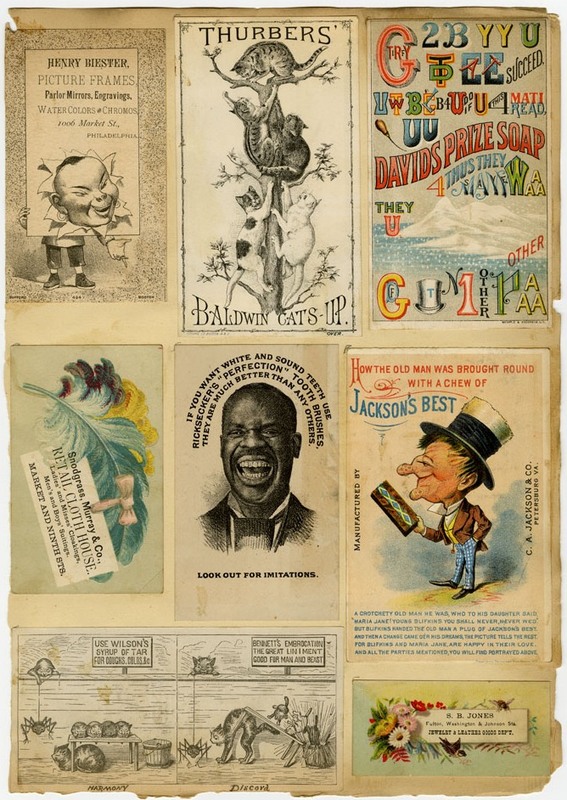 Besides channeling Victorian-era graphic design sensibilities, these cards varied in subject matter and usually contained information about a business, business owner, or a product, such as the ones below from the Hires’ Root Beer Company. 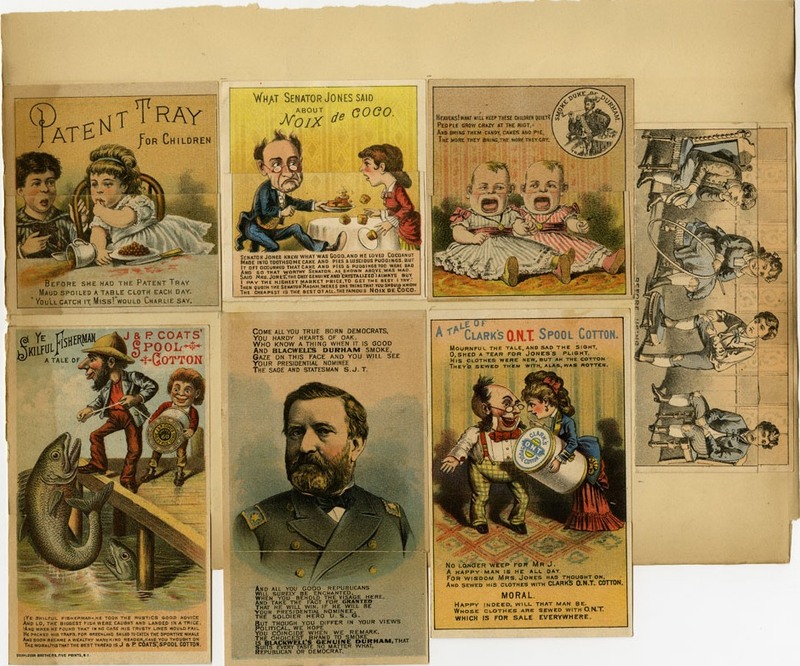 Trade cards became (and still are) highly collectible and people often saved them in scrapbooks. 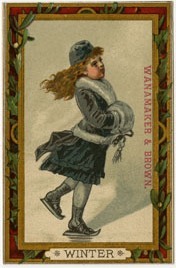 Some cards were produced with folds, and the ad, story, or poem continued when they were opened. At 29 boxes, the vast majority of these cards are good shape and are identified, so the collection is not in dire straits, which is why it didn’t make this particular round of adoptees. It’s fully accessible to researchers, though it could use some work to improve accessibility further (e.g. 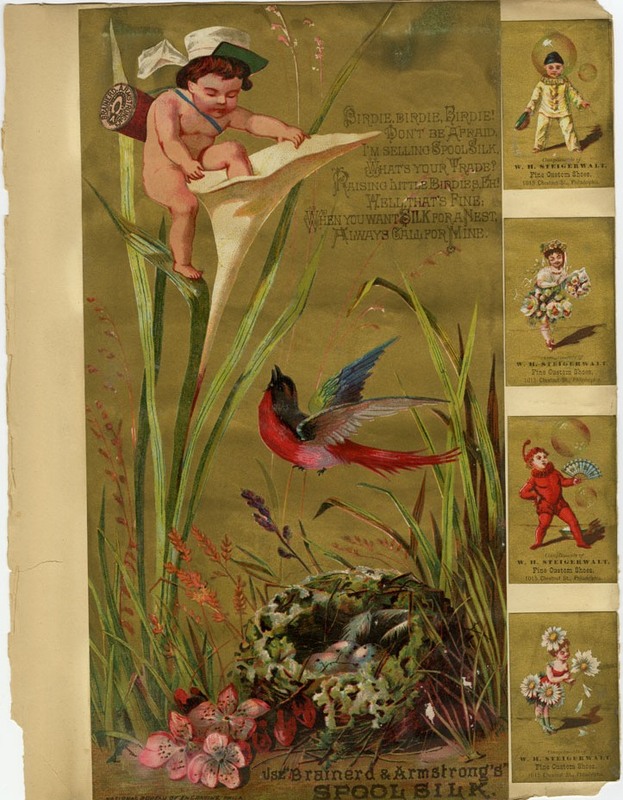 it needs some processing, conservation, and a finding aid). If you keep an eye on the collections we put up for adoption, you may see it added to the list in the future.